Make spirits bright when you mail out the Golden Ornament Greeting Card to friends and family. This gorgeous design features traditional Christmas ornaments suspended upon a background of sparkling lights. Upload one large image of your family or team and personalize the text via our simple template below. We’ll print in color on fine card stock and ship. 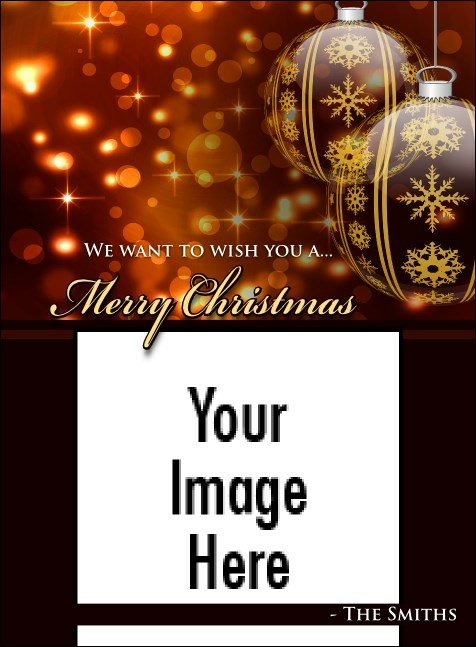 Approximately measures 4.14" x 5.63"
Send warm wishes and holiday cheer with TicketPrinting.com.